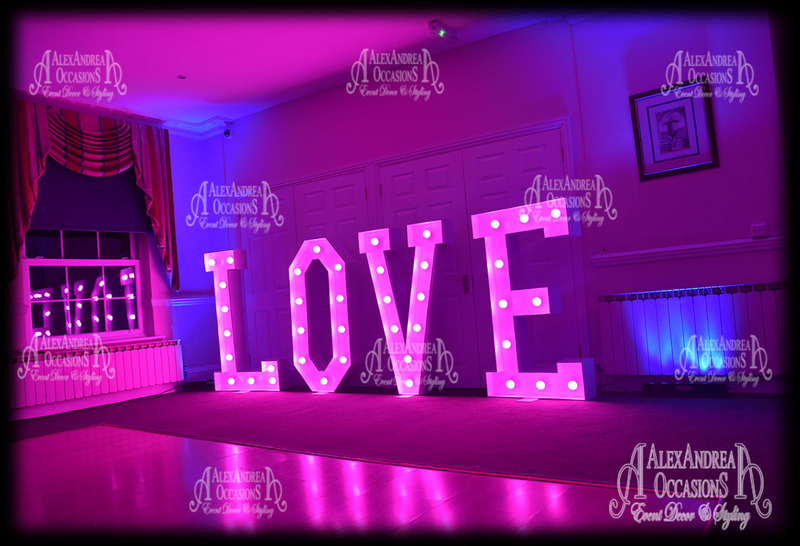 Share your love with Alexandrea's GIANT LOVE LETTERS. 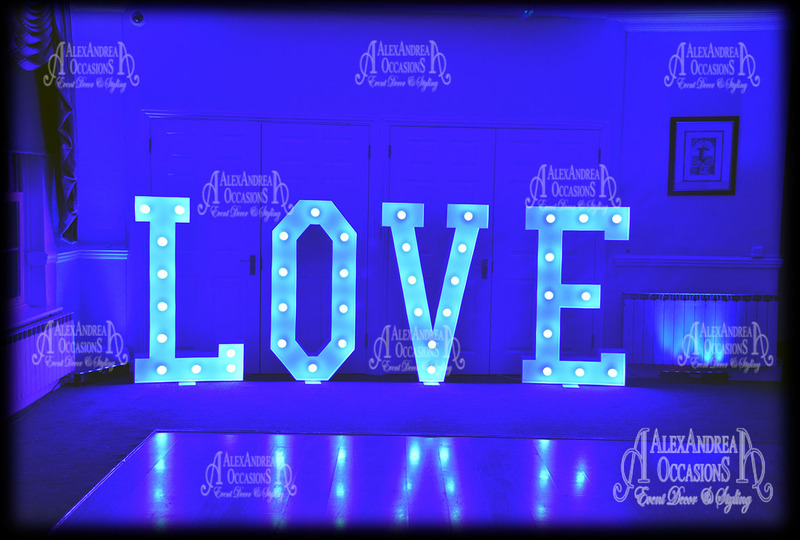 They are self standing and are a huge 4.5ft in height. 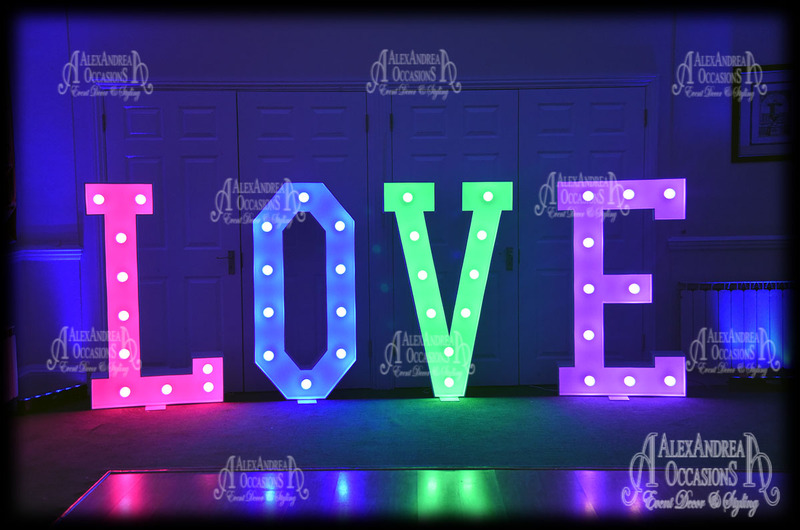 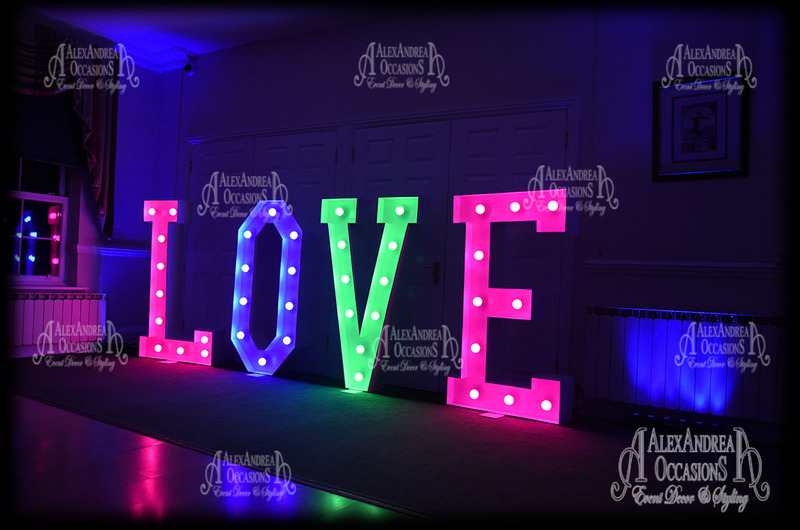 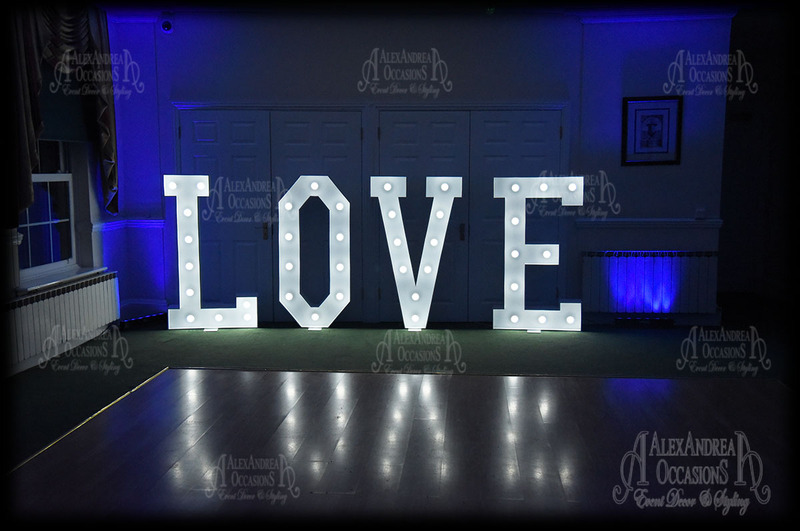 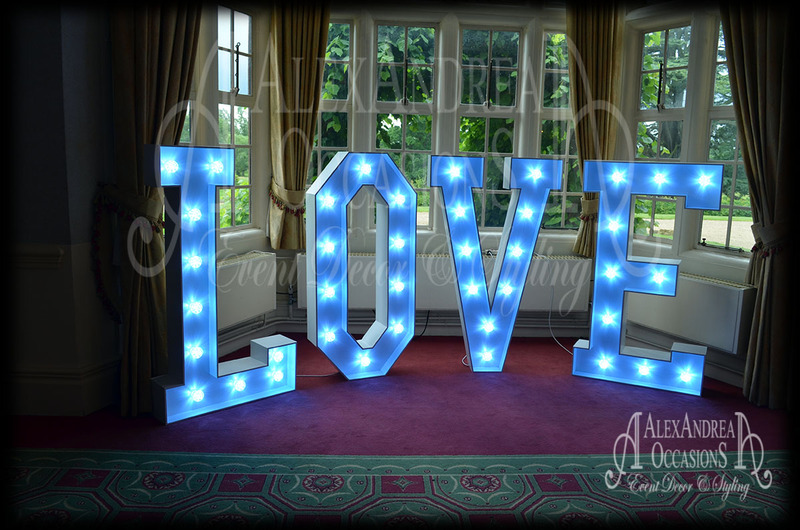 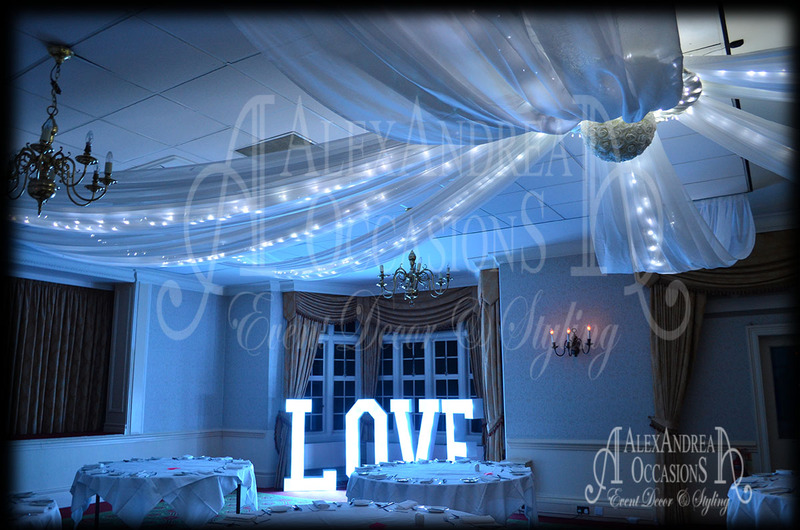 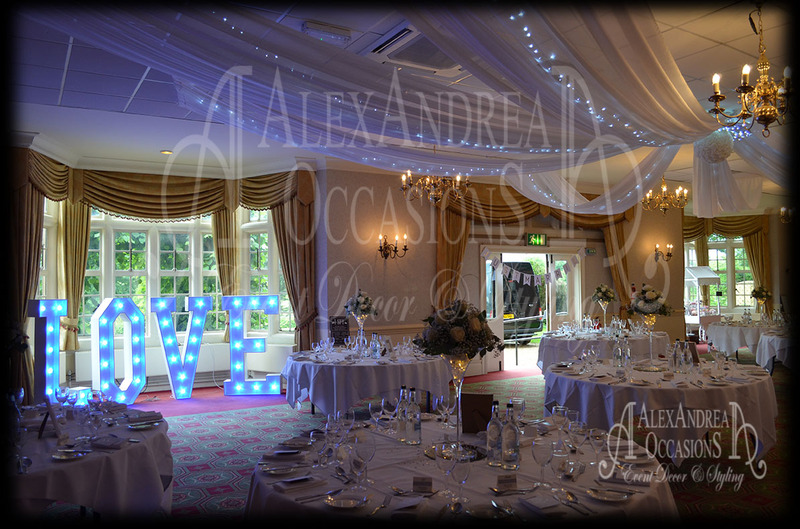 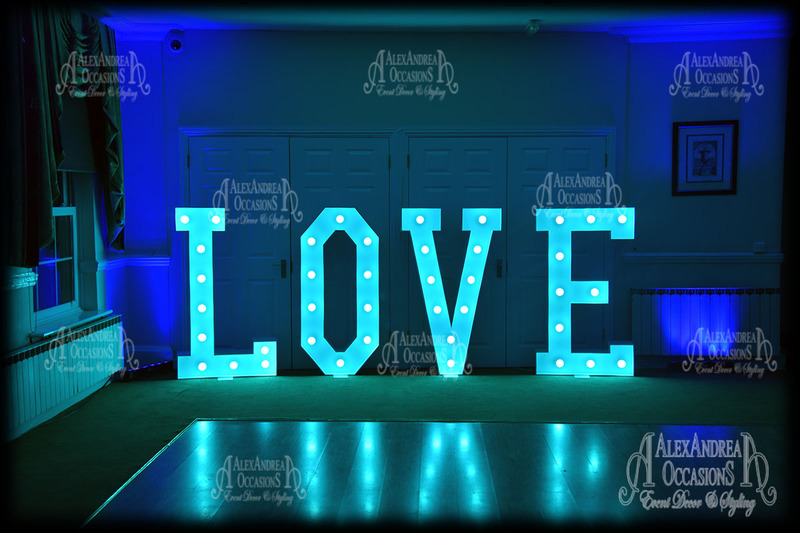 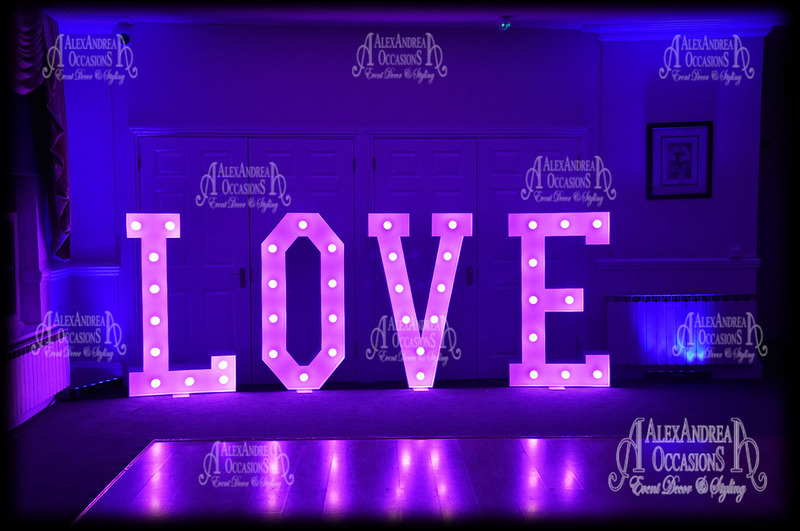 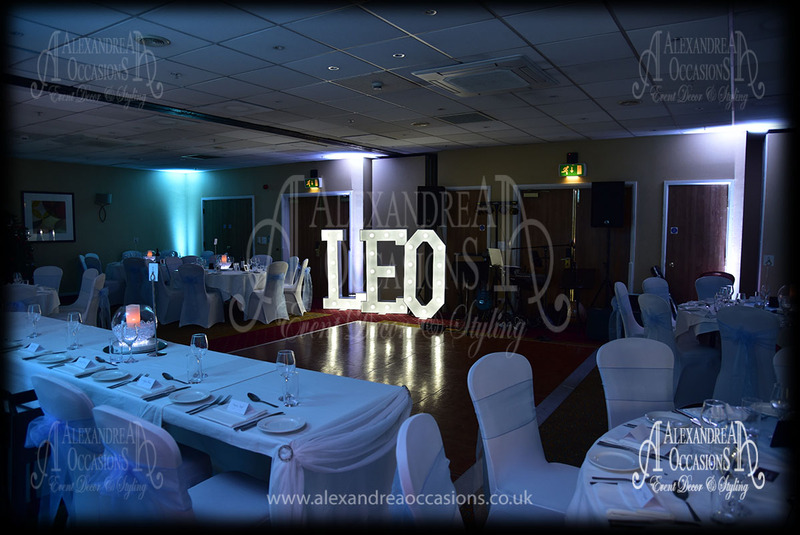 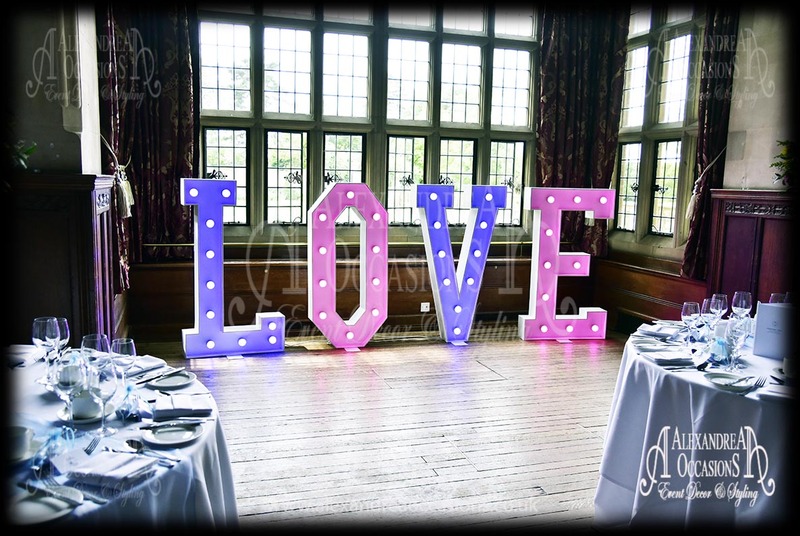 These Wedding LOVE Letters will make a striking feature on your special day using any colour of your choice to illuminate.